NEW! 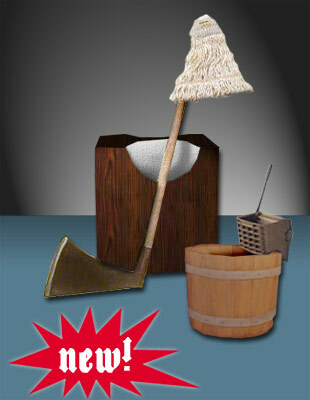 The Chop-n-Mop™ Executioner's Kit! Tired of fumbling for the clean-up supplies after a hard day of executions? Give frustration the axe with our simple new Chop-n-Mop™ System! Quashing and washing have never been so easy! You'll be lopping and mopping like a real pro! Eradicate germs and dissidents with two simple sweeps! Deluxe Chopping Block with Comfo-Smooth Chin Rest™. Yours for only 75 EZ Payments of $19.95!